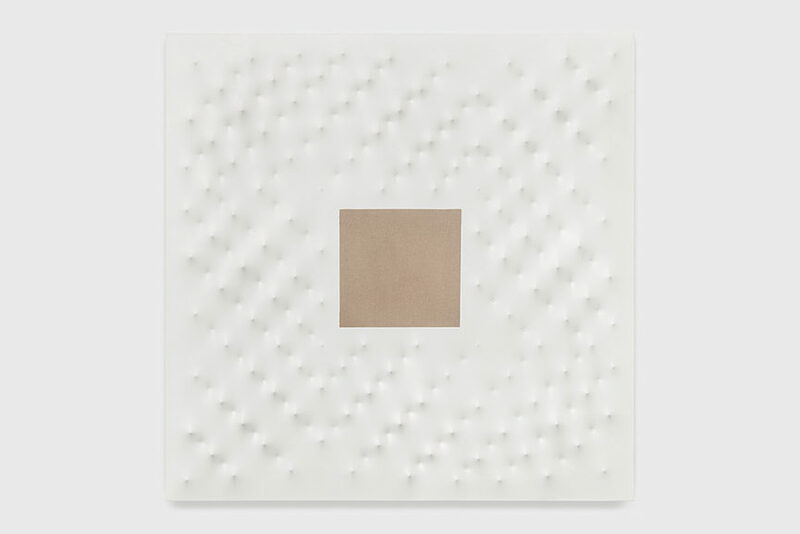 There is something truly sublime about the paintings of Enrico Castellani. An inexplicable urge to touch them, these curious peaks and troughs, flowing across the canvas like an enticing piece of poetry, or sound; they are like a parallel universe, made of light and shadows, the real and the surreal, space and its many variations. A selection of these marvellous works will soon be hosted by Dominique Lévy Gallery, in what will be the first London solo exhibition of one of the most influential Italian artists of the 20th century. Spanning both recent and historic artwork in form of paintings and sculptures, the show will offer a unique opportunity to experience a 50-year-long practice like no other. 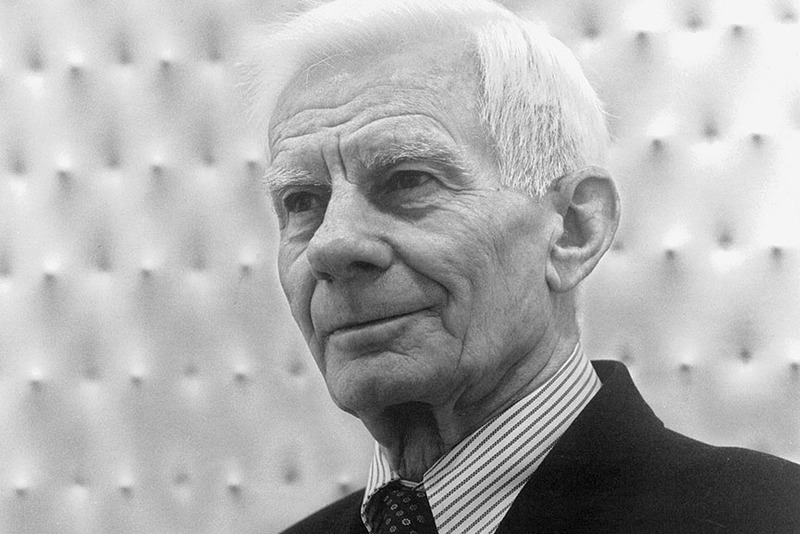 The art of Enrico Castellani was always deeply influenced by the styles of his fellow artists, who had also decided to go against the dominant streams of Surrealism, Informel and Abstract Expressionism, and to seek an infinite, minimalist form of expression. 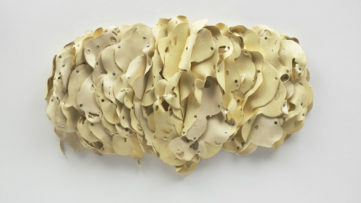 His works evoke one Lucio Fontana, and his “spacial concepts” and experiments with space, but also Günther Uecker and his swarming nail paintings. Only, in his work, Enrico Castellani would cover his framework of nails with a stretched canvas, painted in a single color, letting the structure underneath create endless patterns and landscapes, unique sequences and narratives that interact with the world around them. 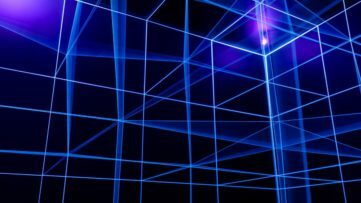 At the same time, they become an extension and a part of the space they inhabit, allowing the ambient light to play with its undulating relief. 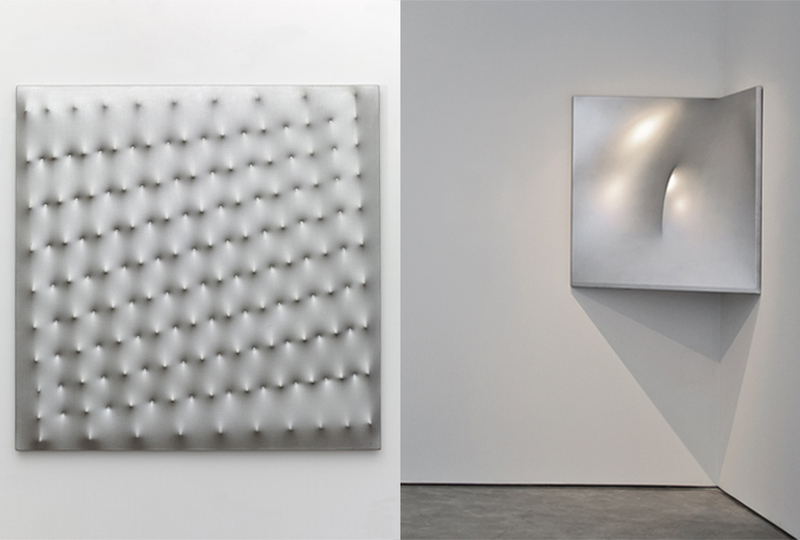 Enrico Castellani’s canvases are usually monochromatic, pure black, blue, yellow, red. But perhaps the most evocative ones his Superfici Bianche, or White Surfaces, which the artist began creating in the late 1950s. His dedication to the color white remains strong to date, as he considers it to be a “tabula rasa”, something non-existent in nature and as such, full of possibilities and the ability to reflect on the colors it finds in its environment. 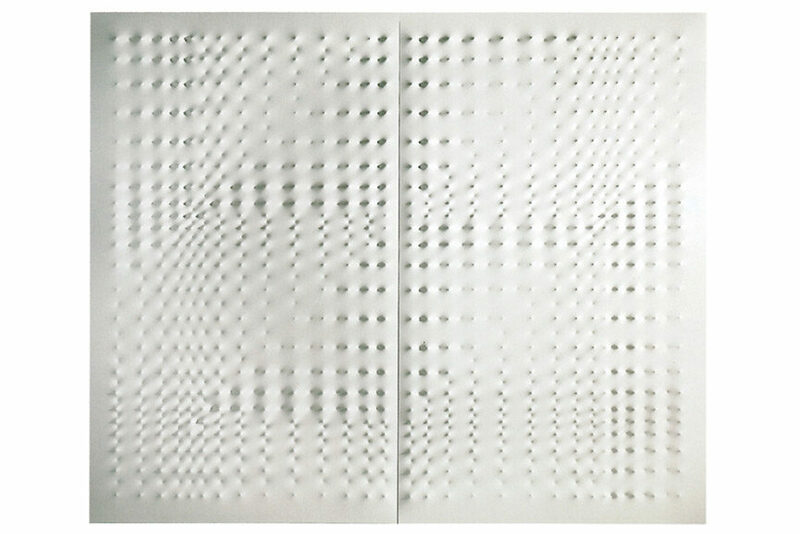 Castellani’s perhaps most important “white” work is the architectural space created between 1960 and 1967, entitled Ambiente Bianco (White Environment). 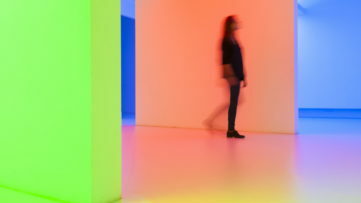 The installation represented a room filled with shaped canvases, including his Angular and Bi-angolari series he started working on during that same decade, all painted with pristine white only. Aside from these, on view there will also be a series of aluminium paintings, put in juxtaposition with his white and chromatic works to give a complete insight into his original artistic intentions. 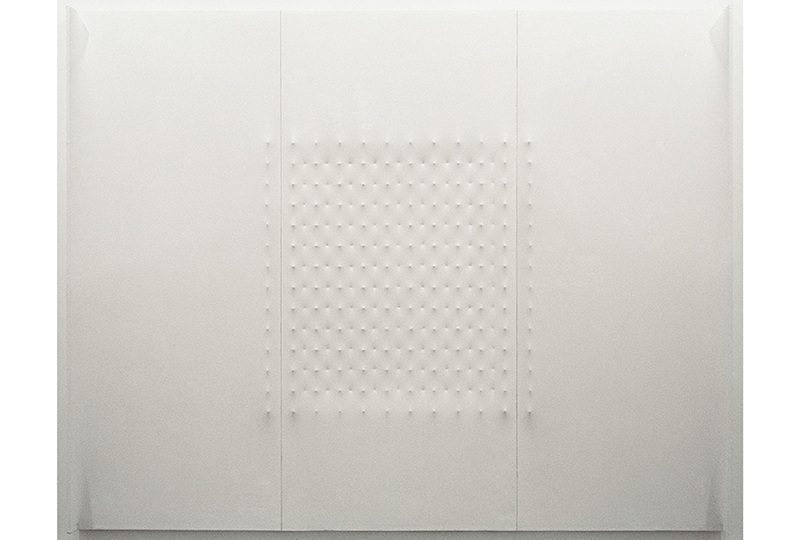 The exhibition dedicated to the works of Enrico Castellani will be on view at Dominique Lévy Gallery in London, UK, from February 9th. The show will be accompanied by a comprehensive book featuring a newly commissioned essay by Angela Vettese, former President of the International Jury of the Venice Biennale. The publication also includes a rarely seen interview between Castellani and Hans-Ulrich Obrist from 2009, which provides meaningful insight into the themes and concepts that have played an important role in the artist’s oeuvre. The show will run through April 8th, 2016. Featured images in slider: Enrico Castellani, 2011. Photo by Nando Lanfranco; Superficie bianca con quadrato grezzo, 2008. Acrylic on canvas, 59 x 59 inches (150 x 150 cm). Delfanne Photography; Superficie bianca – Dittico, 2008. Acrylic on canvas (in two parts). Overall: 98 1/2 x 118 1/8 inches (250 x 300 cm), Each: 98 1/2 x 59 inches (250 x 150 cm). 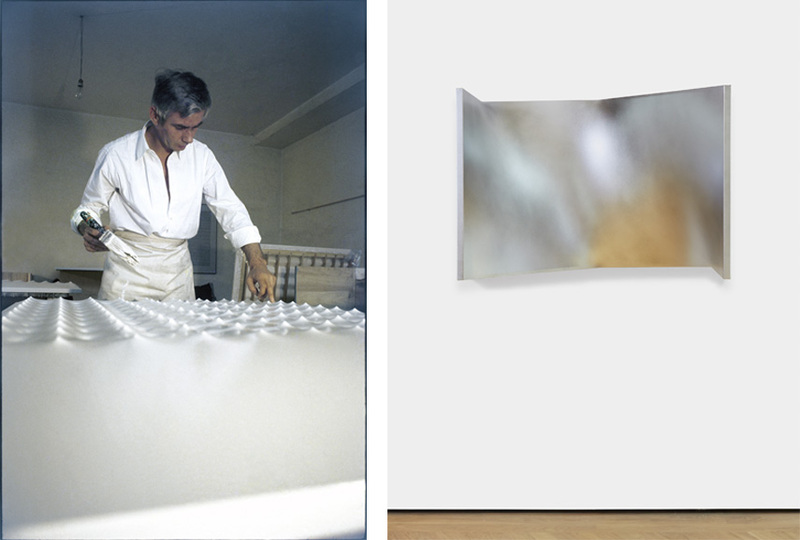 All images courtesy of Fondazione Enrico Castellani and Dominique Lévy.